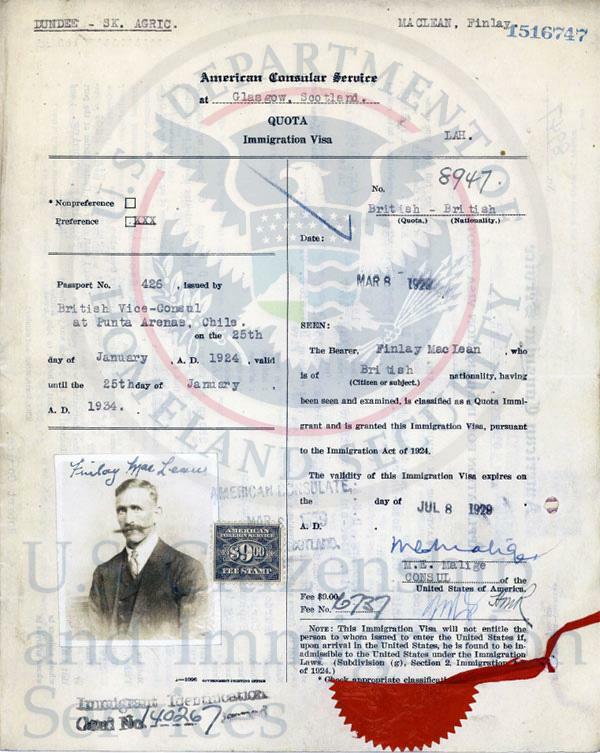 It began in 1924 with a new law, the Visa Files becoming the official arrival records of immigrants admitted for permanent residence between July 1, 1924, and March 31, 1944. This could have been the time frame your ancestors came to America. 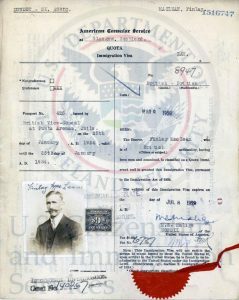 All arriving non-citizens were required to present a visa when applying for admission to the United States. Immigrants requested visas at U.S. Embassies and Consulates abroad before their departure. The State Department only issued visa documents to approved immigrants and the Immigration Service only admitted immigrants arriving with a visa – so a very important document. In this way, visas allowed the Federal government to both select and limit the number of immigrants legally admitted for permanent residence. 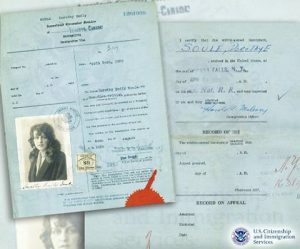 This continued until April 1, 1944, when all new visas were filed in Alien Files, closing the former Visa Files which went into storage in 1952. These 1924-1944 Visa Files had an application form with the immigrant’s complete name, date of birth, and place of birth, as well as the names of his/her parents. The form also contained the immigrant’s address(es) for the five-year period prior to emigration. The part was the photograph of the individual on the front of the visa packet. Over the years other items were added such as military service, a birth certificate, a marriage certificate, even a health certificate. Each file had a Visa File number assigned, to look identify the right person. To get a copy of the Visa File from the Immigration-Citizenship Dept. on this website about ‘searching for the Visa File number,‘ the details are provided. After a Visa File number is located then you can request on this site ‘Requesting Records‘ for the copies of the records. It is going to take some work but could prove to be very rewarding information gathered especially the photo.